Welcome to Episode #9 of The Whisky Guy Podcast, featuring George Grant of the Glenfarclas Distillery! Welcome to the first episode of The Whisky Guy Podcast of 2016! Just as 2015 wrapped up we crossed a major landmark together – 10,000 downloads of The Whisky Guy podcast! A huge Thank You to all of the guests for taking time out of their schedules to be on the show, and most of all to you – the listeners – for being part of this community. To subscribe to The Whisky Guy podcast click here! 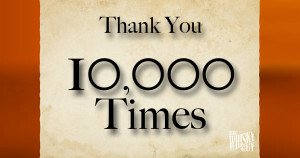 Thank You Listeners for helping me reach the 10,000 listener milestone! Each episode of The Whisky Guy podcast takes over 20 hours and costs over $1,000 to produce. By becoming a Patron through Patreon, a crowd-funding platform for content makers like The Whisky Guy, you can help keep The Whisky Guy Podcast fee and ad-free, and feel good about supporting a small business. Supporting The Whisky Guy can be for as little as $1/episode (about a cup of coffee a month) and Patrons also receive access to exclusive content, that I’ll mention again later. To become a Patron of The Whisky Guy, click here! Your support keeps The Whisky Guy free and ad-free. Become a Patron today! If you haven’t listened to episode 7 of The Whisky Guy Podcast, that’s a great place to start before getting in to this episode. It features a quick interview with George, and Part I of the tasting. With both episodes, I’d recommend listening with headphones as some of the questions from the audience were a little quiet. If you’re on Twitter, first follow @WhiskyGuy and @Glenfarclas, then do a search for #GlenfarclasWA – I live tweeted during the entire tasting and you can follow along. Glenfarclas has been doing well, even through the financial crisis that started in 2008. Tho the distillery was poised for their first layoffs in history, the opposite happened and the distillery saw their best year ever. By 2013, sales in just the first month were higher than the whole of 2009. Growth is not sustainable, tho, for several reasons. Warehouse Space. Glenfarclas has increased capacity from 55,000-65,000 casks/year partly due to building 4 new warehouses, but that’s still not enough. 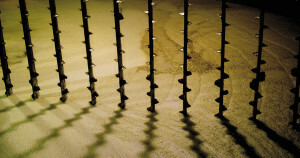 Glenfarclas uses exclusively Dunnage warehouses – an earthen-floor warehouse where casks are stored no more than 3 high. These low warehouses makes sure all the whisky inside matures at the same rate, which helps with consistency. Glenfarclas suffers from Angels Share just like other distilleries – evaporation of liquid from the casks. While the code allows for up to 2% loss per year, because of the altitude and humidity around the distillery Glenfarclas only looses 0.3% annually. 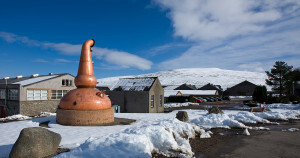 Compared to maturation on Islay, where evaporation can be near 5% annually. Question: How close is Glenfarclas to capacity? Glenfarclas is at capacity for production now. Last year, the distillery produced 3.42M liters of alcohol, of a 3.5M liter capacity. This year because of slight modifications, capacity is 4M liters. A single 750mL bottle of Glenfarclas 10 year in the US contains .3 liters of alcohol. Glenfarclas sells whisky to other bottlers for blended whiskies. In 2007-2008, Glenfarclas sold 95% of their volume to blenders. Today that’s closer to 40% with goals of reducing further, but there’s value in selling to blenders as well. 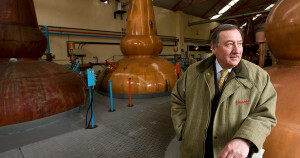 Question: What blends are taking in Glenfarclas? Distilleries rarely sell to other distilleries – they swap casks. Some blends that contain Glenfarclas include Chivas, William Grant portfolio, Inver House, Whyte and Mackay and Beam Suntory. Ian, distillery manager at Laphroaig, kept a bottle of Glenfarclas 21 to share with people that had never had whisky before so they weren’t too offended by Laphroaig and scared away from whisky. Question: Where does the chocolate come from? From George, who thought it was the sherry casks, tasted a cognac cask exclusive matured whisky and found the same character and now attributes it to age. Glenfarclas newmake is sweet and floral. 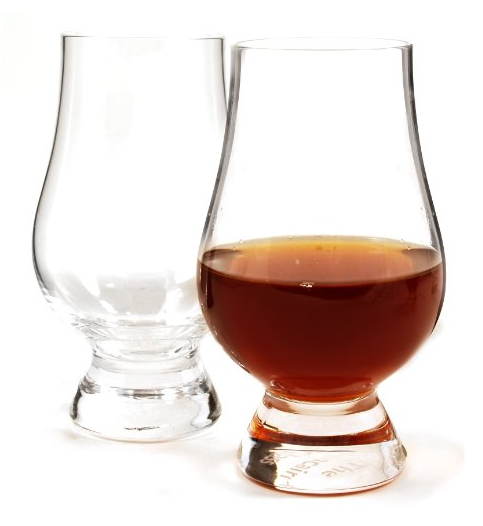 Experiment: Instead of adding water to whisky to dilute it, hold a sip in your mouth and add water directly, but be careful not to spray on those around you. Proof derived from ‘proving’ that gunpowder soaked in whisky would explode. Are you a Glenfarclas fan? Click here to tell me about it! 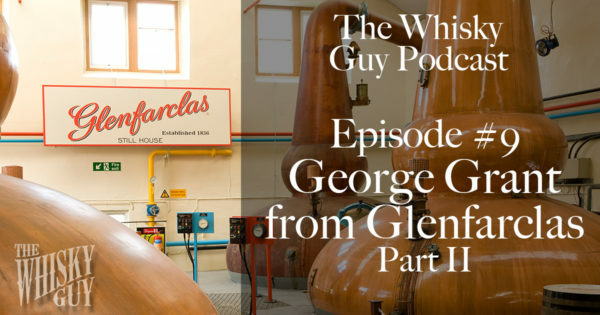 Click here to become a Patron of the Whisky Guy and get access to exclusive content, like the Q&A session that happened after the tasting with George Grant. Get a Free eBook from The Whisky Guy! My eBook, “How to Taste Whisky” gives you a step-by-step guy to not just drinking, but really tasting and appreciating whiskey. Along with detailed how-to notes and my 6-step process, you’ll also get the why behind it so you can create your own tasting process. 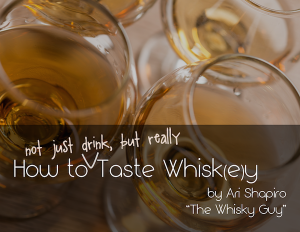 This eBook, How to Taste Whisky, is available for free when you subscribe to The Whisky Guy newsletter. It’s unfortunate that a number on a bottle has become one of the defining characteristics that some assume equates to the quality of a whisky. Really, the number alone tells you very little about a whiskey. Non-age statement whisky is nothing new to the industry. It was less than 100 years ago that age statements even started appearing on whisky bottles, and to this day whiskies from Canada and the US, along with the biggest brands from Ireland don’t carry age statements. 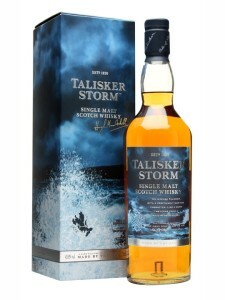 When a distillery releases a new bottling, no matter the label, I’m excited to see what the distillers, blenders and bottlers have come up with – and I was excited to taste Talisker Storm. Disclosure, again, that Talisker is one of the distilleries owned by Diageo, who I’ve worked for as a paid ambassador, tho Storm was released in 2013 after I finished my time with them. Package/Appearance: The box and label on the bottle are a bit silly to me – it’s whisky, not the backdrop to a Broadway play. The picture does nothing for me in ‘setting the mood.’ I do really enjoy the color of the liquid, a very rich gold tone. Diluted: Nice visual of the oil and water mixing. Nose tends closer to Talisker 10, but flavors are all enhanced all the way through the finish. Episode #10 of the Whisky Guy Podcast, on January 20, will feature a conversation with the team at Longman & Eagle (@LongmanAndEagle) in Chicago – a Michelin star restaurant with a tremendous whiskey selection.